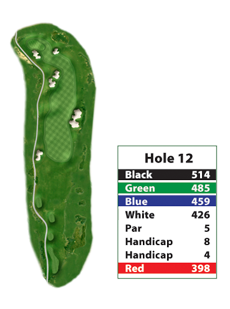 This par 4 is a medium dogleg to the right. “Bite off” what you dare as deep bunkers protect the right side of the fairway. The smart golfer avoids these at all costs. Stay to the left side and your approach will be an easy short iron. A nicely played drive with a draw, followed by an approach with a fade, could mean a birdie. Not extremely difficult, but slight tricky. 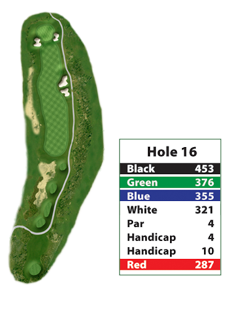 One of the few birdie holes, this par 5 can be reached in two. Not ready for the gamble? Lay up to the right of the fairway bunkers for an easy, short iron approach. This seemingly harmless par 3 frustrates players of all skill levels. 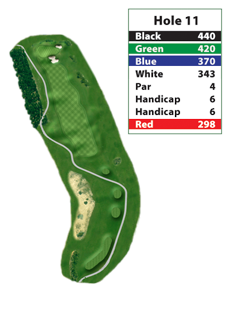 The slightly elevated green slopes from left to right. Holding this green takes a tee shot of great precision and feel. Par is a great score here. 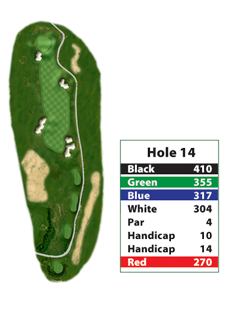 This fairly short par 4 features a ridge that affects the landing area. 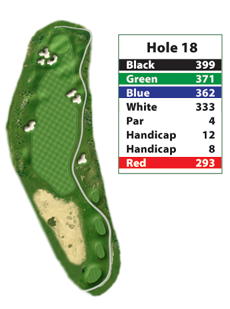 Avoid the bunkers and aim for the middle of the small green. 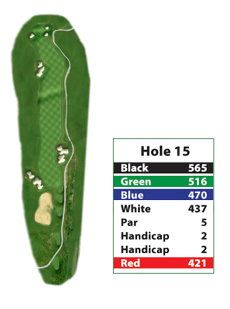 Tiger might reach this long par 5 in two, but mere mortals won’t. Out of bounds guards both sides of the fairway. Favor the left side from the tee, the right on your second. Avoid the bunkers on both shots. Play to the center of this gently back to front sloping green. 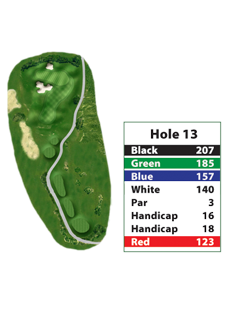 If you can work your tee shot from right to left on this long hole, you will benefit; a successful tee shot favors the left side of the fairway. An accurate second shot is required to avoid the bunkers protecting both sides of the green. We’ve saved the best for last. 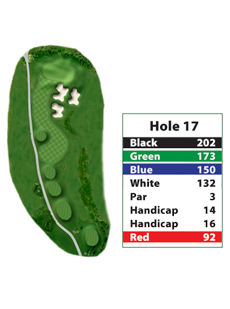 This final par 3 is a great shot making test. You can always bail out left and short, but don’t be intimidated! Just remember, getting up and down from the bunkers is nearly impossible. 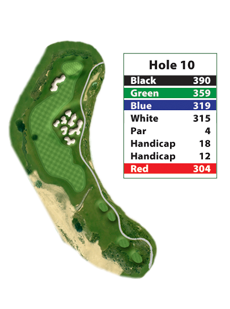 This par 4 offer a super finish to a fun filled day! Even after a perfect tee shot that starts over the right side and draws back to the left, you must execute your approach with conviction as the gallery watches, ready to applaud.